"Long may the Blues wake up this morning and every morning"
Welcome to Earlyblues.com. Now in its 19th year this is probably the longest running and largest continuously updated blues website on the internet. The Blues is Alive and Well here! Browse the site for a vast range of blues material: the 'UK & European Blues Festival Guide', UK/European/US blues festival photographs and reviews, blues tours/gigs, artist/band interviews, the history of the blues in essays and articles, research projects, reference lists, recommended blues books/CDs/DVDs/radio stations, travelogues, general blues news items, a blues shopping mall, blues recipes, blues resting places, links to other blues sites, social media and discussion forums. With the newly re-created History Section (see details below) 'Earlyblues.com' now runs as two interlinked websites. There are well over 1,300 web pages, over 11,000 images, over 100 interviews, over 120 essays and articles (mostly exclusive to Earlyblues.com) so be sure to visit often as these sites are updated very frequently, with an extensive amount of material yet to add to many sections of the website. Looking for a specific blues artist or band, check this out first: Blues Artists & Bands Index - indexing artists & bands featured on the 'Earlyblues' website, or try Blues Festival Photos for a list of past blues festivals, or try The NewsStand - all sorts of snippets from the blues world. Otherwise browse the main Noticeboards listed below - each giving the latest updates by category or the 'Early Blues Treasure Trove' of miscellaneous links to all other sections of the website. I've provided 'seasoned' visitors with the five key links above and three below. Happy browsing! 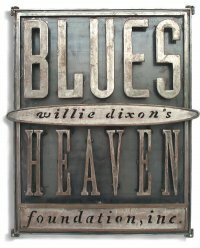 If your interest is in the history of the blues check out the Blues History section where you will find interesting essays and articles, the Blues Research section where you will find long term research projects (including reference to the sister website 'Underground Railroad') and the Recommended Blues Books section where you will find seminal works available on various media. "The Half Ain't Never Been Told"
"The story of the blues is a story that has been told a number of times ... as far as black music as a whole is concerned it is a half-story. This emphasis has drawn attention away from other important vocal traditions, particularly the sacred vocal traditions, from the song-sermons of the Baptist and Sanctified preachers to the gospel songs of the church congregations and of the 'jack-leg' preachers and evangelists". - Paul Oliver, Songsters and Saints - Vocal Traditions on Race Records, Cambridge University Press, 1984. Visit the sister website www.earlygospel.com specialising in early gospel music and especially lesser known singers, from spirituals and sacred songs in the 1870s through the evolution of gospel music to the end of WW II. www.earlygospel.com is now an all-new format website. Visit the associated website www.undergroundrailroad.org.uk - being an insight into the Underground Railroad movement during American slavery times (see 'Slave To The Blues' research section below). 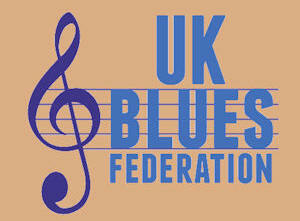 Check out the UKBlues Federation, a pan-UK Federation promoting and supporting Blues in and from the United Kingdom in all its forms and styles, incorporating the History of British Blues, the UK Blues Challenge and the FORM UKBlues Awards. More details and the latest news click here. "Very richly deserved in my opinion. Alan does sterling work for the blues and has done for many many years". - Paul Jones, Paul Jones Show, 8th December 2014, BBC Radio 2. "Crazy Blues" written by Perry Bradford. 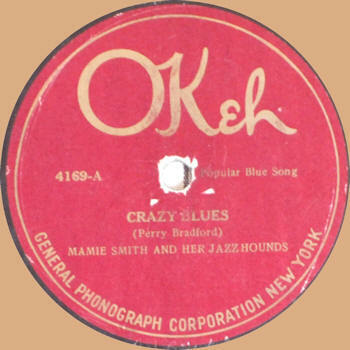 Mamie Smith and Her Jazz Hounds recorded it on August 10, 1920, which was released that year by OKeh Records. Within a month of release, it had sold 75,000 copies. Although there were many recordings made of songs with blues in the title during the previous decade, this recording is considered a landmark as the first blues record ever issued. These are the Noticeboards of the latest additions to each category of the website.
. 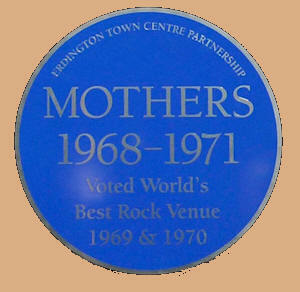 Mothers Club, Erdington, Birmingham . The original ‘History’ Section of Earlyblues.com is being re-created in a new more manageable and easier to browse format together with extended content, especially on the history of British Blues. The new format is being developed on www.earlyblues.org and will ultimately replace the original History Section of www.earlyblues.com, being entirely dedicated to the history and evolution of the Blues in essays and articles, cultural aspects, exhibitions, presentations, courses, talks, research projects, reference lists, recommended blues books, blues resting places, and links to other blues sites. All other content of www.earlyblues.com will remain the same. 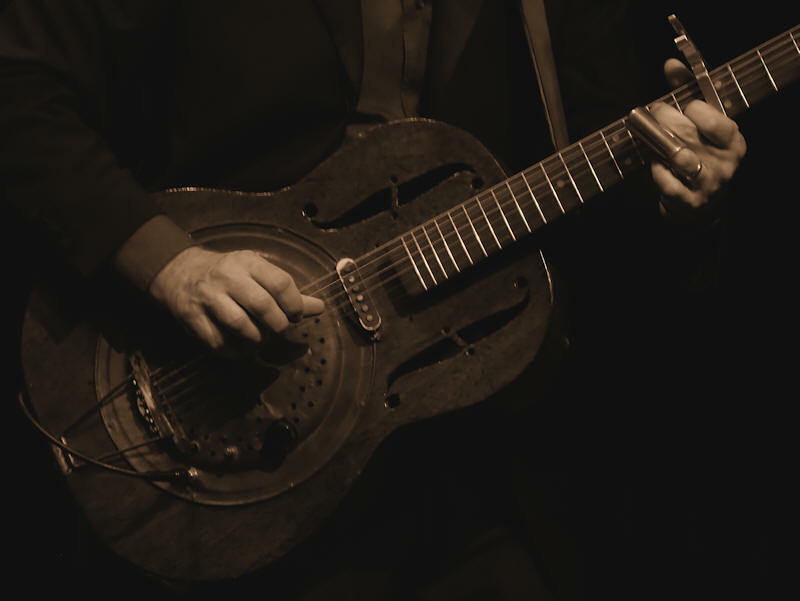 www.earlyblues.org (new expanded and re-formatted History Section). Click here to go to the original History Section or click here to see the new developing History Section, remembering that you can return to the full www.earlyblues.com website any time by clicking the link on the new Home page. 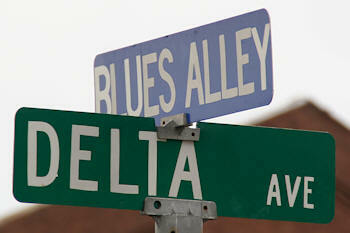 The Mississippi Delta: Birthplace of the Blues - "This Is Where the Soul of Man Never Dies." Downhome Blues Exhibition : A Photographic Exhibition of American Blues Artists and their Home Towns by Alan White. The exhibition comprises some sixteen artists including Chuck Berry, James Cotton, Honeyboy Edwards, Louisiana Red, Coco Montoya and Hubert Sumlin. Blues Filter Exhibition : A Photographic Exhibition of Blues Artists who have performed at The Great British Rhythm & Blues Festival, Colne, Lancashire by Alan White. The exhibition comprises some twenty five artists including Steve Cropper, Mud Morganfield, Booker T, Billy Boy Arnold, Magic Slim, Chris Farlowe, Jack Bruce, Ruby Turner, Wilko Johnson, Larry Garner and Lucy Zirins. - Details of an Interactive Robert Johnson Blues Tribute Park in Robert's Birth Town of Hazlehurst Mississippi to be built by The Robert Johnson Blues Foundation working with Robert Johnson's family. Check out the associated website www.undergroundrailroad.org.uk - being further developed to give an insight into the Underground Railroad movement during American slavery times. © Copyright 2008 Alan White. All Rights Reserved . "Where the Southern Crosses the Yellow Dog"
"Where the Southern Crosses The Yellow Dog"
The junction at Moorhead looking to the west (the Southern Railroad, now the Columbus & Greenville) running west and east and the Yellow Dog (the Yazoo Delta Railroad), running north and south. This is the original 'Earlyblues.com' Website, first published in October 2000 by Alan White as an on-line information resource specialising in blues music. It has been regularly developed since then with a vast range of excellent material which I hope you enjoy. If you are interested in the long term research project 'Slave To The Blues' being researched in conjunction with blues historian Max Haymes then check out the Blues Essays and also my new website www.undergroundrailroad.org.uk which gives an insight into the Underground Railroad movement during American slavery times. For the record: this is an on-line educational information resource website and no content may be copied for commercial use (see our copyright notice). If in doubt, or if you wish to ask permission to copy an item please email me - alan.white@earlyblues.com. All the work maintaining this site is completely voluntary (with no financial support or advertising whatsoever) coz' we're passionate about the blues and we want to keep the blues alive! Website and 'earlyblues.com' logo © Copyright 2000-2019 Alan White. All Rights Reserved. All photos and images (unless otherwise stated) © Copyright 2000-2019 Alan White.